Mini social games with heart. New Game title underway! Magniibots! We recently participated at the Global Game Jam 2016, over by the Facebook Headquarters offices… we had about 48 hours to concept, build and develop an entirely new game from scratch (like all Game Jam events!). The resulting project came out way better than we anticipated, and we walked away from that 48 hours with a sweet new game, we call Magniibots. 1 Programmer, 1 Artist/Designer, 1 Audio Musician. Since we received and observed such great feedback about the game, we’re pushing ahead to get this out there for everyone on Steam through Greenlight. Expect to hear again from us real soon with updates and when we will need your votes to qualify for the Steam Greenlight program! After Steam, definitely eyeing our console lovers so Xbox and Playstation will follow too! Currently, we got our hands full on 2 other game projects, and another bigger, more long-term project… we’re more experienced now than a year ago, our project ambitions are growing, it’s still just the beginning for Drop Pod Games… long road ahead! We need votes! Please take a moment and kindly vote for us! If we win, it could very well be the tiny jolt our startup has been looking for! Vote here :)! Updates at Drop Pod Games! Been awhile since we had anything posted, but that only means we’ve been far too caught up with the projects at hand! Over the past few months, we’ve tackled 2 entire different game projects, for 2 very different platforms. 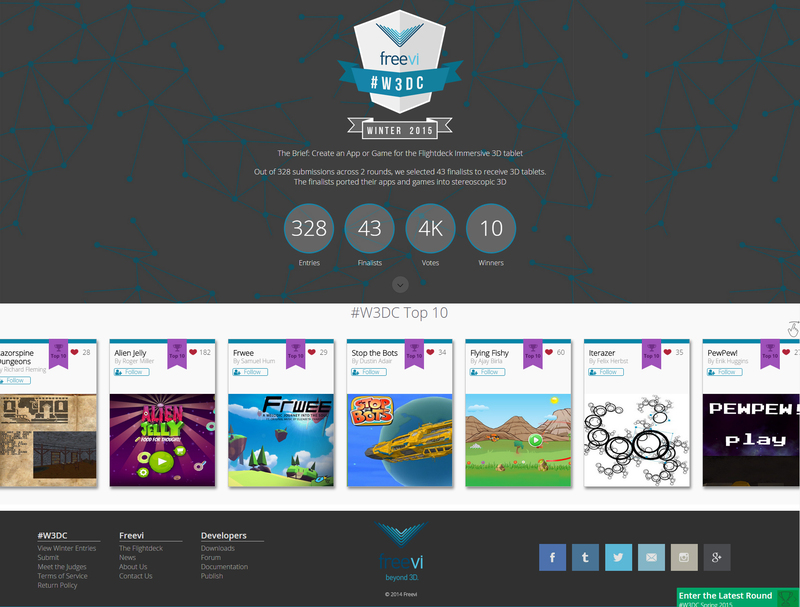 In January, we were hand-selected as pioneer content developers among thousands of applicants for a new and upcoming cool piece of gaming technology, known as the Freevi Flightdeck, a world’s -first-glasses-free-3D mobile tablet. If you’re familiar with Nintendo’s 3DS handheld device, think of this one as an iPad version of that device! 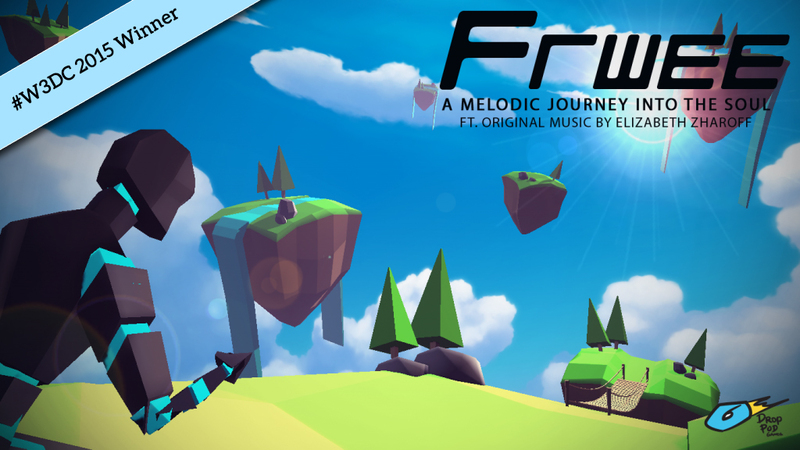 Our game project –Frwee– was a unique stylized runner game that was driven by music. As with our previous projects, the team was ad-hoc and consisted of just 3 developers. What we accomplished was still a solid keeper! Not very long after that project had concluded, we jumped yet again straight into another game jam, the Samsung Gear VR/Oculus VR Jam 2015. We had a month to execute an idea, which really is very little time, so it was full steam ahead. This time, the team was made up of 3 developers, but with a different programmer jumping aboard! All 3 of us have been working non-stop to get this project out the gate, and we are very proud to be able to now present, InnovoxVR, a breath-taking musical/visual VR experience. Featuring completely original audio work by Elizabeth Zharoff. What started out as an abstract idea, has turned out to be a refined, beautiful, and comfortable VR experience. The VR Jam is now in the judging process, and we need votes! 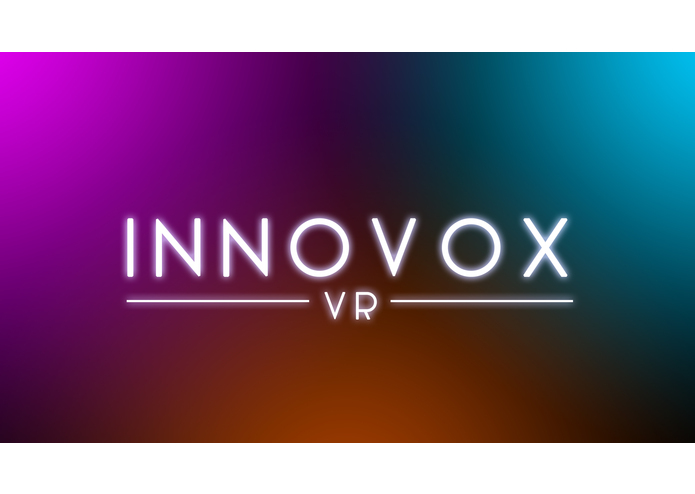 Head on over to our entry submission page to find out all about our InnovoxVR experience, and vote for us! (yellow button) Seeing a video of what this project is can’t even begin to describe the emotions and experience of InnovoxVR, you simply have to try it out for yourselves. So if you’re one of the lucky few around to have access to a Samsung Gear VR headset, be sure to give this app a looksee! We’re looking for Unity3D programmers, as well as full-stack engineers. Do drop us a note at business@droppodgames.com should you have the slightest inkling to contribute to our games! Drop Pod Games presents “Saplings” !! Our 2nd official game app release! Yes it’s finally gone live! Saplings is a very different type of game app than one would expect. It is all about nurturing a virtual plant. The digital Sapling grows in real-time, procedurally, and requires constant care and watering, just like a real plant would! Naturally, be rewarded for your efforts when flowers start budding and turning into collectible fruits, containing special bonus power-ups to aid your Sapling’s journey. 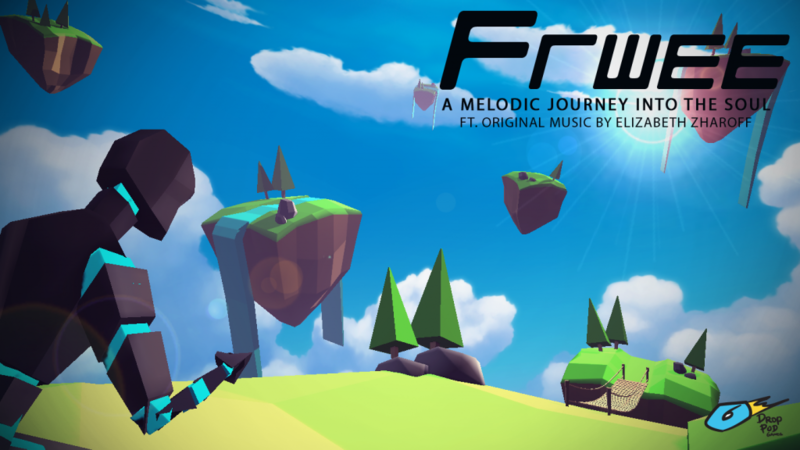 Saplings also features a dynamic exquisite music soundtrack composed by award-winning Elizabeth Zharoff, making this zen-like game approach a total experience! Saplings is free to download on the Android Google Play Store now, with an iOS release coming right around the corner! Dolby Challenge 2014 Silver Award goes to RoShamboroo!! Our recently released Android game app RoShamBoroo has won 2nd Place in this year’s Dolby Challenge! Big shout out to the extremely talented few that worked with Drop Pod Games in developing this game! RoShamBoroo is Live on the Google Play Store! RoShamBoroo is finally live on the Android Google Play Store! This is our first official Play Store release, we are extremely excited and look forward to pushing out even more game titles soon! 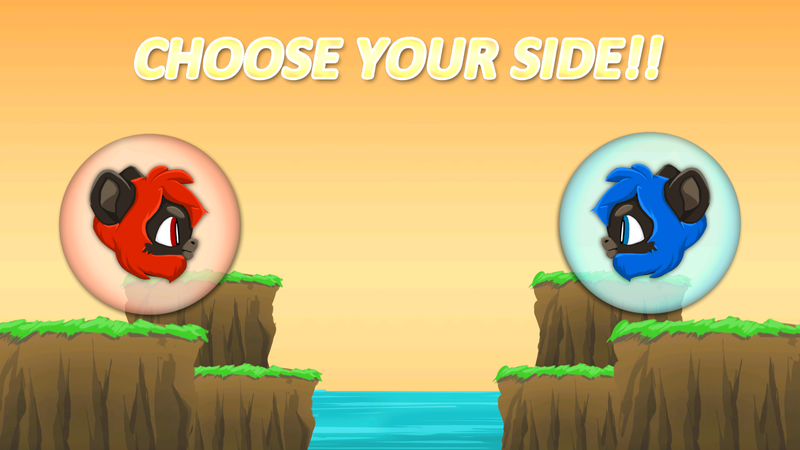 RoShamBoroo is a Rock-Paper-Scissors game with a twist! Play through quick rounds of Ro-Sham-Bo to fight your way through to your opponent’s base. Big shout out to the awesome team that contributed to this project! We already have 2 other games in the works! Our Games are about to hit an App Store near you! Been working on several projects, and it’s funny how the stars are aligning in such a way that we’re not only gonna have 1 game to launch, but 2 and maybe even a 3rd game will all be colliding together into one dramatic launch schedule! Drop Pod Style~! Landing with a bang :)!